Understanding the flexibility of a prospective partner’s negotiated deals terms provides critical insight into the negotiation process in terms of what you can expect to achieve during the negotiation of terms. Whilst many smaller companies will be seeking details of the payment clauses, the devil is in the detail in terms of how payments are triggered – contract documents provide this insight where press releases and databases do not. 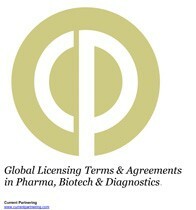 Chapter 5 provides a review of the top 25 most active biopharma companies in licensing. Where the deal has an agreement contract published at the SEC a link provides online access to the contract via the Current Agreements deals and alliances database. Figure 10: Licensing agreements – what should a contract include?